Download the Visual C# 2008 Keybinding Reference Poster. Add your own productivity commands. For example, to add Reflector so it automatically opens on the current project. You may build tens of times during a programming session, so don’t enable anything that isn’t absolute necessary such as code analysis and XML documentation. Develop in Debug configuration, and switch to Release configuration just before check-in to run code analysis and generate XML documentation. In a large solution I recently worked on, this shaved a minute off compilation time. Find files faster with Find Combo Box !!!! This is the Find dropdown that is on the Standard Toolbar, not the Find dialog. Use the shortcut CTRL+D to activate the Find dropdown in normal mode. Use CTRL+/ to activate the Find dropdown in command mode (with “>” prepended… this doesn’t work sometimes for me). To quickly go to a file, type CTRL+D, >open . Intellisense works here just like in the Command Window. “of” (short for “open file”) can be used instead of open. 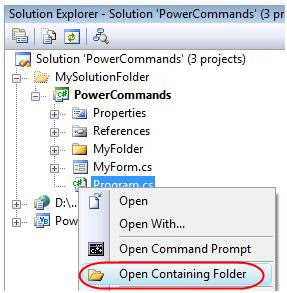 Compare this with opening Solution Explorer, expand the correct folder/project, and visually hunt for the file you need. Start debugging faster by "Attach to Process"
Select the “aspnet_wp.exe” process and choose Attach. Debugging this way is faster because you skip the often-lengthy compilation step, and you don’t have to navigate from the start page to the actual page that you want to debug. Enjoy Code Snippet with Visual Studio 2008 !!!!!!! If you know what is “Code Snippet” ? & how to use it? with visual studio 2005. But now if you are using Visual Studio 2008 then you won’t find it. Don’t worry it is not removed from visual studio, you can still use it. 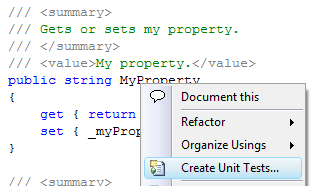 It’s done, just go to visual studio and write down snippet name and press tab. Highly customizable CAPTCHA verification. Its Free !!! Learn and defend your ASP.NET sites against evil bots with this free web control that provides instant, highly customizable CAPTCHA verification. Hear is the interesting blog post containing links to posters about Microsoft technologies. It lists posters for Visual studio 2008!!! also with C# and VB. Also it contains posters for developers , business apps and professional apps also.